When you go camping, you'll be sure to bring a few flashlights. A flashlight is indeed useful, but sometimes you need to light up a larger area like the eating area around the picnic table or inside the tent. What you need is the Cascade Mountain Tech Pop-Up LED Lantern (3 pack) from Costco. 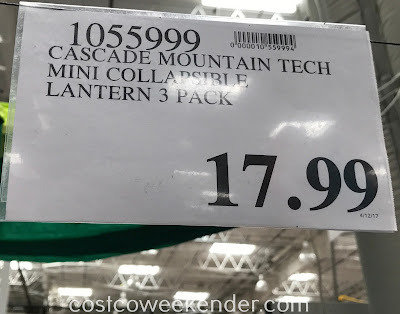 These collapsible lanterns are quite versatile. They're definitely great for camping, power outages, or if you're smoking some barbecue outside in your backyard and the sun has already gone down. They're collapsible, so they're easy to pack and put away. They're not as bulky as a traditional lantern, yet are just as effective when you need more light in addition to the camp fire. 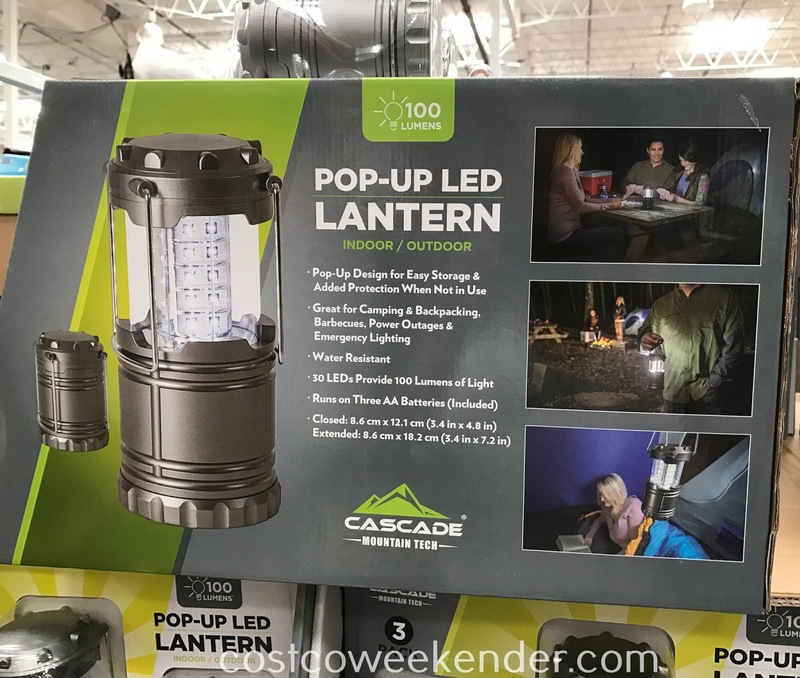 You can't go wrong with the Cascade Mountain Tech Pop-Up LED Lantern especially when it comes in a pack of three. You'll be sure to use several of them just for camping, keeping them around your house, or stashing one in your car for emergencies.